People suffering from hyperpigmentation can treat this condition easily with skin care cream. Not all skin care creams are created equal. Read on to learn about how these products may be able to help you. Hyperpigmentation is a very common skin condition. It can result in dry patches and dark areas on the face. What causes this is an uneven production of melanin, the brown pigment in our skin. When this pigment starts to collect in areas or be overproduced, it causes darker areas to form. Many people refer to these as “age spots” or “liver spots”. The medical community refers to them as solar lentigines since overexposure to the sun is a major cause. Larger spots, or areas that turn darker than the rest of the skin, are usually due to hormonal changes often associated with aging, and those are called melasma or chloasma. Pregnancy can cause darkness in the skin often called the “mask of pregnancy”. This is usually temporary and the skin returns to normal after delivery. This condition can be treated at home with skin care creams. The goal is to calm the overactivity of the melanocytes that have been producing more melanin than is needed. Skin cream with hydroquinone is the gold standard for this condition. It’s been safely used for over 50 years and is FDA approved. Hydroquinone acts to lighten dark areas of the skin, resulting in a more even all-over skin tone. Creams are usually mixed with antioxidants, retinoids, and alpha hydroxy acid to improve effectiveness. Together with hydroquinone, these can significantly even out skin tone. This solution is just as effective as hydroquinone. It’s naturally derived from a fungus. Some people who do not find hydroquinone to be as effective will see improvement using kocic acid. Contact James Christian Cosmetics for more information about these skin care creams and other treatments for hyperpigmentation. We specialize in helping clients reduce fine lines, wrinkles, and dark spots on the skin. Call us today at 1-844-iBOTOX-NOW Mon-Fri from 9am to 5pm. You can also text or call our 24/7 Cosmetic Concierge line at 917-860-3113. 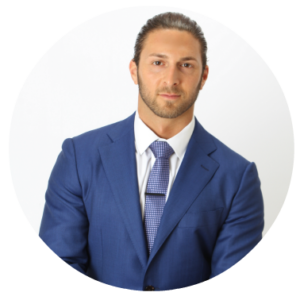 James Christian Sardelli, RPA-C is an experienced injector in New York who serves Nassau and Suffolk Counties. His locations are in Manhattan and throughout Long Island, including Commack, NYC, Islip, West Sayville, Westhampton Beach, Rockville Centre, Farmingdale, and Babylon Village, NY.